T.I.M.E Stories: Expedition Endurance (aka TS:EE) is the fourth expansion to the T.I.M.E Stories franchise. As you probably know from previous reviews, T.I.M.E Stories is a novel cooperative game where players take on the identities of people in different time streams – trying to rectify problems in the space-time continuum. Note that this game is an expansion ONLY and you will need to have the base T.I.M.E Stories box to play the game. As with previous reviews – I will not include any spoilers here on the gameplay. Any elements that I will talk about will be stuff that has already been publicly revealed by Space Cowboys or Asmodee. the overarching story of T.I.M.E Stories is that you and your teammates are members of an intervention team set some point in the future. You step into a “shell” that then projects your mind into a receptacle in a previous era. Thus, you can take on the identity of someone different each time you travel back in time. Your team works together to try to solve the problem of the scenario. Each scenario is contained within a deck of cards. It is important to remember that you should never shuffle the deck nor should you ever look at the cards prior to playing the game. As I mentioned at the top, most of the scenarios are linear and possibly only played once. Thus, you don’t want to accidentally learn something which will spoil your experience. Each mission starts with an information session at the T.I.M.E Stories Base Location. 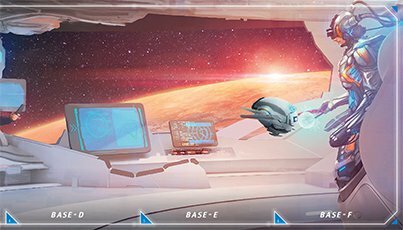 While there are some basic rules that are in effect for every game of T.I.M.E Stories, there are some individual tweaks that are outlined in this opening debriefing. The starting location will also instruct you on how to set up the deck of cards. 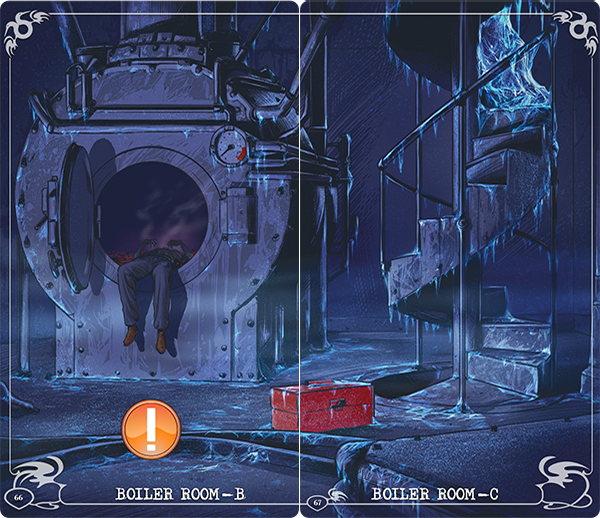 In general, there will be a section of cards that are Items – these cards remain face down in a deck, and as you play the scenario, you will reveal Item cards to help further the story. There are some map cards that are placed in the map area found in the upper left hand corner of the board. 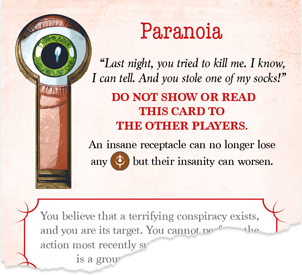 There are also a number of character cards which provide the statistics for the different identities that you might be able to take in that scenario. The rest (and bulk) of the deck are reserved for locations. The first card of each location has the location name printed on it. At the bottom of the card, it tells you how many other cards are used in this location. 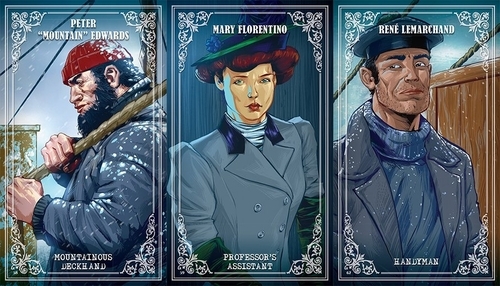 As you get started with a scenario, each player learns the story of the scenario, and then players choose the character they will portray in the adventure. Each character has specific abilities (such as health, defensive strength, fighting, magic, agility, etc.) – the types of abilities will differ based on the particular scenario. Sometimes the different characters will also have special abilities, and the group should take some time to discuss how the characters might work together based on their different strengths and weaknesses. Some of the previews have also noted that there is a new protocol in place, one that allows players to insert themselves into animal receptacles… Well, only mammals so far. 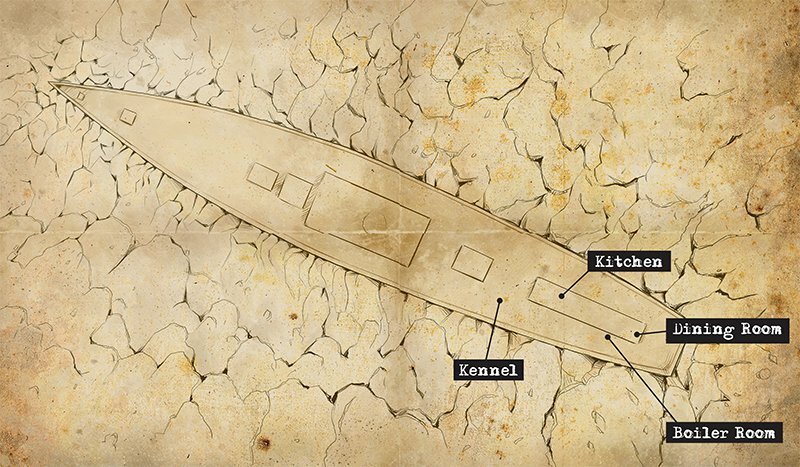 In this fourth expansion set – the setting is the year 1914 on the Endurance, a ship exploring Antarctica. When you choose your characters for this mission, you’ll note something different from previous adventures: All the receptacles of Expedition: Endurance come with a measure of Sanity, and you can expect this Sanity to be strained and tested, even as you deal with the physical challenges of life in a setting where the temperature can plunge as low as forty-five degrees below zero. You will be charged with exploring the ship to figure out what has gone so horribly wrong… But I really can’t tell you more without giving away the plot. But, be assured that you will have your sanity tested as you play through the scenario. If you lose your grip on reality, things can take a drastic turn for the worse! The adventure in TS:EE is well constructed – as all of the previous ones have been. 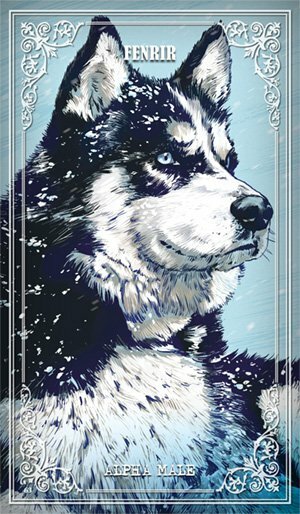 As you read the cards and examine the illustrations, you can definitely picture yourself on the icebound ship in the middle of nowhere. We managed to get through this adventure in two runs – the first time that my group has done it so quickly! As far as complexity goes, I would say that this one is about average in comparison to the other T.I.M.E Stories scenarios, and our quick success was due more to a surprisingly high number of favorable dice rolls. We always play the game from scratch – we do not keep any beacons from game to game in T.I.M.E Stories. For me, this scenario was more on the puzzle solving and less on the route optimization, and as such, I liked it a bit more. That being said, I should note that there is a bit of comfortable same-ness that is seen in the whole series of 5 scenarios. If you liked the base set and/or the expansions, you’ll probably like this too. While we were starting to get fatigued with T.I.M.E Stories at the last expansion, there was enough of a break (~7 months) between plays to make this seem refreshing. And, as always, you really can only play it once – so it’s not like you’re going to get fatigued from this alone. So, to recap – this is set in the Antarctic. If you like T.I.M.E Stories already, you’ll like this one. Craig V: I have enjoyed T.I.M.E Stories and its various scenarios, but more for the experience while playing with my group rather than the game and actual mechanisms contained within. The system was new and exciting at first, but each scenario seems to be just more of the same each time with nothing really new and different being offered. 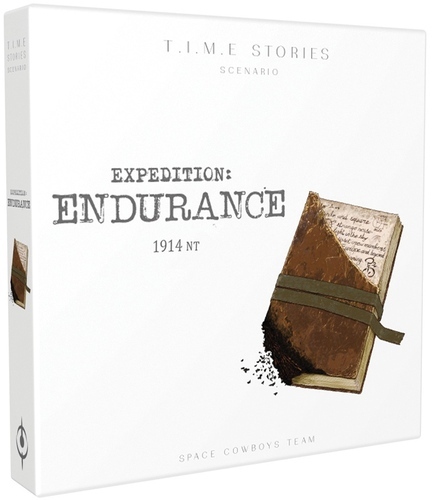 Expedition Endurance is only the fifth scenario for T.I.M.E Stories so far, but it feels like I had already played it given the recycled theme (no spoilers here, so you’ll find out what I mean when you play it…) and absence of truly new mechanisms. I’m not sure if this lack of innovation is due to the long lead time required for scenario development or because of the inherent limitations of the system, but T.I.M.E Stories really hasn’t been evolving enough to feel fresh or compelling enough with each new scenario. It seems that the evolution is actually the new Unlock! game/system coming soon. With that being the new focus and hotness, I fear that T.I.M.E Stories is destined to stagnate and then eventually fade away into game history… As for T.I.M.E Stories: Expedition Endurance, I was very intrigued by the Antarctic theme and potential surprises, but I was ultimately disappointed with the story and didn’t find anything particularly exciting about the overall experience. Chris Wray: I have to agree with a lot of what Dale and Craig said. Our group (with 3 players) completed this in three runs and about three hours of total playtime. As Dale said, this is about as complex as the other scenarios, and in many ways, it felt like a mashup of the good mechanics from several of the other expansions. That said, I’m starting to share Craig’s view that this is getting stale. I just wasn’t as enthused about going on the second and third runs like I had been with other scenarios. That’s not a knock on Expedition Endurance at all: in many ways, I think this objectively out shines some of its predecessors, which is why I rank it so highly compared to the others. Rather, I’m suggesting that Space Cowboys needs to get creative and learn the best lessons from their other cases with the next scenario. This system has amazing potential, but I think the designers and publishers need to find the right balance in the different elements. I think there needs to be more puzzles (like Asylum had), a moderate but not overbearing amount of route optimization (like A Prophecy of Dragons had), some cool new mechanics not seen in other scenarios (like Under the Mask), and a memorable storyline and ending (like The Marcy Case). It’s a tough balance to strike, but they’ll eventually get there. I think Space Cowboys should start thinking of this as an escape room mixed with route optimization. Eric E: I was able to play this over the weekend and I made it a point to schedule the play. I am always excited to get Time Stories to the table and at this point I am always anticipating the next one. But for this one I finally began to see the warts and the issues with the game system. Without spoilers, the game expansions consist of cards of a set amount. Always. That is part of the genius and also part of the problem. For me, each new game has tried to branch what can be done within that system and for me it is for the worse. I see every single card in the deck as a precious resource for the game and every time I feel one is wasted it bothers me. This game in particular seemed to have what I would call an inordinate amount of cards I wished were “better used”. I like the game and I hope now that these expansions are coming out after they would have had ample time to learn from mistakes or criticisms that they will improve. This scenario, for me, did not.